First and foremost, donuts need to be served hot and fresh from the fryer. All the donuts here in San Diego sit out in cases getting progressively colder and harder, like your bitter Aunt Ida’s mood and general life outlook. They’re okay at the places with fast donut turnover, but still . . . why bother with a cold donut? So many places in North Carolina served hot donuts, so what gives out here? At least Hawaiian places serve fresh malasadas. Second, they’ve gotta be simple, good flavors. I don’t want cereal on my doughnut. I don’t want 8 kinds of sprinkles. I want a good maple glaze on a HOT DONUT WHY IS THIS SO MUCH TO ASK. PUT IT IN THE FRYER. And it needs to still taste a little like fryer oil when it hits my mouth, please. And stop judging me, SUSAN. No Duck Donuts where you live? Don’t worry: I made you some Maple Brown Sugar Biscuit Bombs to tide you over. Or, let’s keep it real . . . and have both! Happy Fall! These Maple Brown Sugar Biscuit Bombs are the perfect fall dessert! 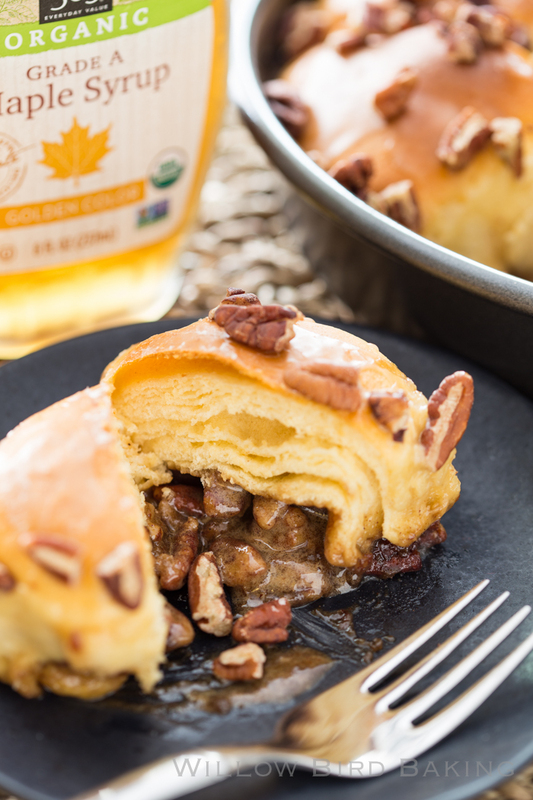 Flaky biscuits are filled with gooey maple brown sugar and topped with a sweet maple glaze and toasted pecans. To toast pecans for this recipe, spread them on a baking sheet and bake at 350 degrees F for 5-6 minutes, stirring regularly, or until toasted and fragrant. Preheat oven to 350°F. 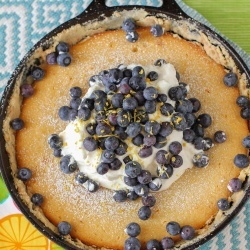 Spray a 9-inch round cake pan with nonstick cooking spray. Whisk together brown sugar, flour, cinnamon, egg, and maple flavoring to form a paste. Stir in toasted pecans and set aside in the fridge. Unroll and flatten each biscuit. Place about 1 tablespoon of brown sugar mixture in the center, and pinch together the edges of the biscuit to conceal (sometimes this is hard to completely seal and a little messy. Don’t worry. Try your best and then plop them opening side down and they’ll bake up lovely!). Place in prepared pan with the seam down. Bake 20-25 minutes, or until deeply golden brown (let them get pretty dark on top to ensure they’re cooked all the way through). Cool at least 10 minutes before icing and/or serving. To make icing: whisk powdered sugar, maple extract, and water or milk together to a pourable consistency. 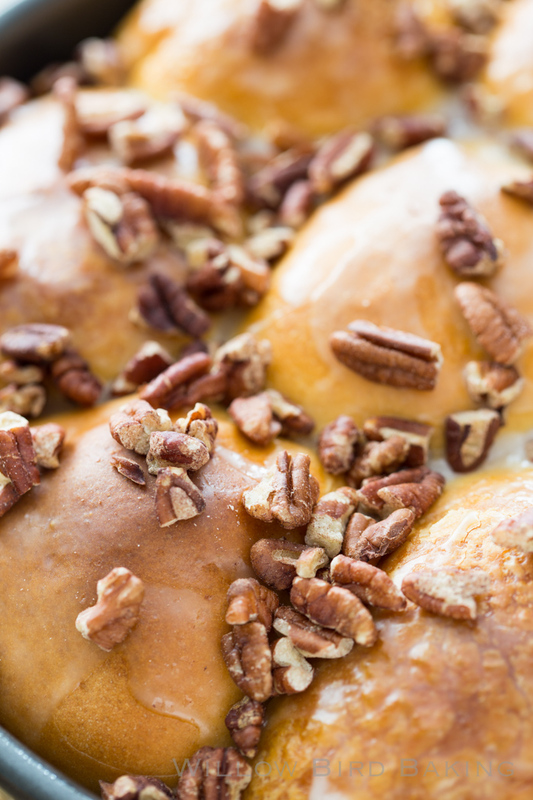 Drizzle over biscuit bombs and top with extra toasted pecans. Serve warm. Store loosely covered in fridge for up to 2 days. Julie, I adore you, but sprinkles are Good and belong on many a donut. My favorite donut though is from Revolution Donuts in Decatur. They have one with a fresh orange juice glaze and pistachios that is the best damn donut I’ve ever had. These look delicious. 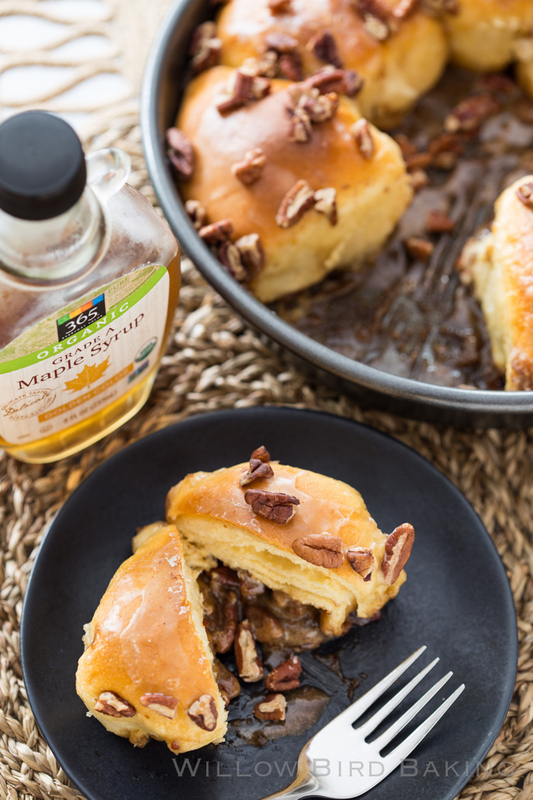 We used to fry biscuit dough and cover it in powdered sugar when I was little, so I am here for this maple version. Also baked donuts are just muffins!